The Insurance Institute of Highway Safety is an independent non-profit organization that works to prevent injury or death from vehicular accidents. Their ratings aren’t swayed by brands or advertising, only the protection of you and your loved ones. Research shows that vehicles with top ratings for side tests are 70% less likely to be involved in passenger death in the event of a side crash than vehicles that score poorly. The Volkswagen Atlas Awaits You! 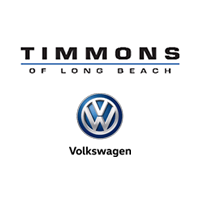 Visit Timmons Volkswagen of Long Beach at 3940 Cherry Ave. to meet the 2018 Volkswagen Atlas and learn more about its safety technologies from one of our dedicated team members. You can make an appointment by calling us at (855) 832-3136. We’ll help you every step of the way, from picking the right trim to finding you the proper finance plan for your budget. You can even start by applying for financing at home today!